Riley Smith grew up on a Quarter Horse ranch in Marion, Iowa, with 75 Quarter Horses, 10 cats, 3 dogs, and a donkey:) When he was only 16 he won the AQHYA (American Quarter Horse Youth Association) world championship. He later became the AQHYA president and travelled all over promoting the Quarter Horse. Later in High School friends and family prompted Riley to pursue a career in modeling and TV. It was a big decision for Riley who had to decide whether to follow his dreams and go to New York~or stay home with his family, especially his grandfather. In he end Riley decided to pursue his career and made the big move to NY. However, this wasn't enough for Riley and he set out for Hollywood to pursue a career in movies. Again, he was very successful...:) Heres a small list of movies he has been in: "Motocrossed", "Wild Grizzly", "Voodoo Academy", "Lover's Lane", and possibly "The Black Stallion II"...what can I say..."Go Riley!! :)"
You can meet Riley! 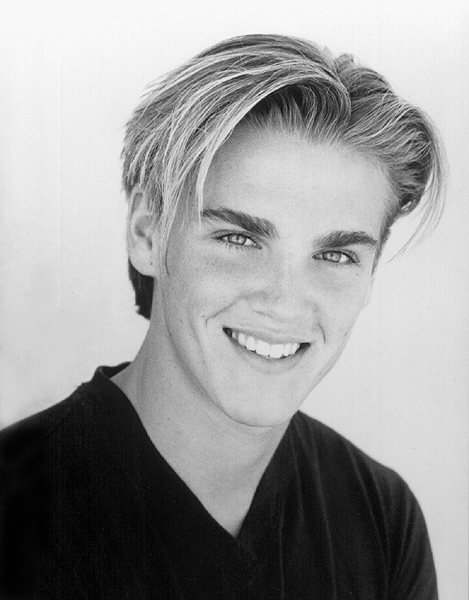 Check out the official site for info^.^ www.rileysmith.com! A special thanks to Bob Lamb...and i suppose Riley himself lol. This site wouldn't have been possible without them ;) Thanks guys! Disclaimer: I am not Riley Smith and I do not have any access to Riley Smith or any special way to contact him.